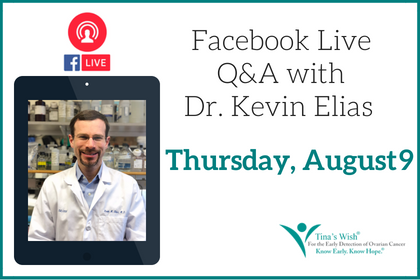 On August 9, we hosted a Facebook Live Q&A with Tina’s Wish Rising Star Grantee, Kevin Elias, MD, of Brigham & Women’s Hospital. 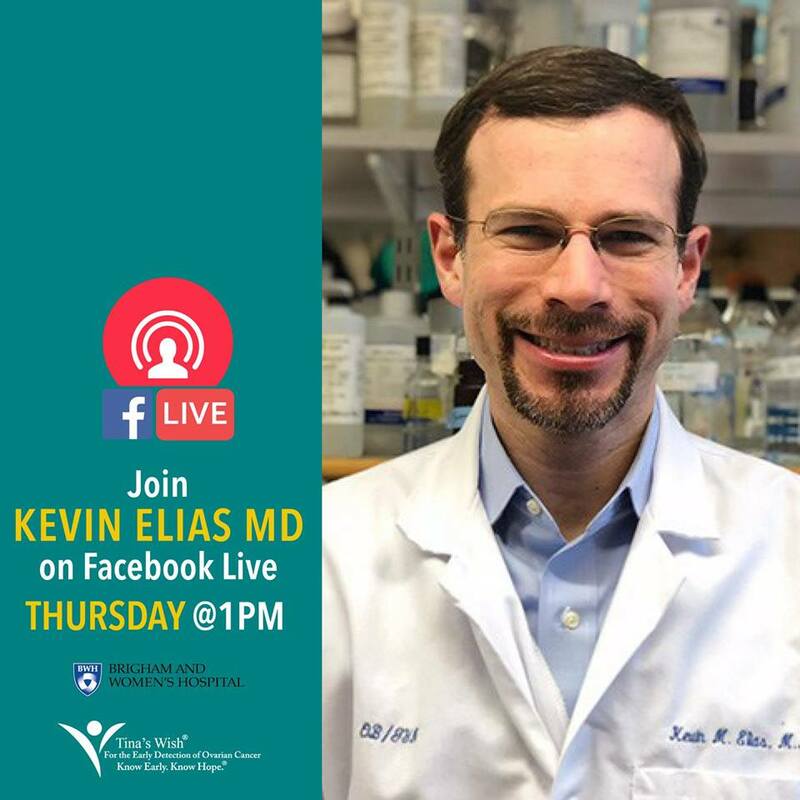 Dr. Elias spoke about his development of a non-invasive diagnostic tool that measures circulating microRNAs to predict ovarian cancer and answered viewers questions live. For the full video, see below. CLICK HERE to like our Facebook page and stay up to date on other Facebook Live events. To learn more about Dr. Elias and his research, CLICK HERE. To view the Facebook Live video from our medical symposium featuring Tina’s Wish researchers, CLICK HERE. To learn more about the MAGENTA Study mentioned in the video, CLICK HERE. For more information about Tina’s Wish research, CLICK HERE.